Motherhood we are all in this Together. This post is a sponsored by Similac. 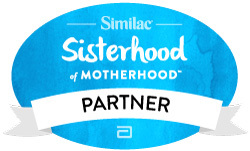 I am so proud to be selected to participate as a Brand Ambassador in Similac’s “The Sisterhood of Motherhood”. As a young mom I had expectations of what a mom should be which set my path each day as I struggled to take care of my two children 23 months apart in age. Super imposed upon my high mom standards for myself were also my desire to be the “good wife” as well. My plate was more than full. At times difficult to digest all I had bitten off. I was also a maternal.child, pediatric nurse so I knew and had personally witnessed what could happen if you relaxed your standards especially your safety ones. That alone created in me some serious anxiety which I kept hidden from everyone except my husband. It was not easy to be a “green” mom. By that I mean, this was all new grass I was trodding upon and I wanted it to grow and flourish in spite of my insecurities and anxieties. Little did I know there were many other moms just like myself and we all suffered from our own self imposed standards. There were no mom bloggers, no mom blogs for that matter there was no internet! However I did watch my favorite stories (soap operas) each afternoon at nap time. The characters were my “friends”, even though I could not talk to them or ask them questions or even comment on their problems. Their lives were of course nothing like my own but it was definitely an escape from the mom and housewife mental institution known as my home at the time. In the two years following my marriage I delivered two children. They were raised in the 80’s, 90’s. and were born in Miami Florida. It was another world from where I worked in New York City. Even though I had a lot of newborn experience I had no idea what to do when my first born daughter was older than two weeks. I was literally lost thankfully my mother was staying with me and lived close by. Both my babies were formula fed. The choice was made for me since I was taking Heparin, a drug which helps to prevent blood clots. 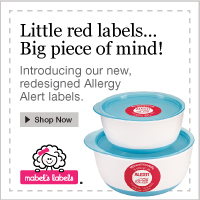 It was a medication that would cause problems for babies as it passes through breast milk. Although I didn’t like not having a choice I was sort of okay with it because I had seen many moms struggling with breastfeeding and it just scared the living daylights out of me. I had no problem with formula and bottle feeding. For the most part in 1979 and 1981 there really was no judgment passed on my formula feeding decision by any of my mom friends. Actually, I was relieved to bottle feed, since someone else could easily feed my daughter and I could get some much needed rest. Living in South Florida alongside many retirees created a different set of problems.They were a judgmental bunch. A brief story comes to mind. One afternoon I was taken by surprise when I took my daughters to Lord and Taylor and decided to have lunch. Pushing my double stroller I approached the hostess and asked for a table, her retired old self felt the need to ask me if I was going to breast feed at the table. What a relief came over her face when I said “no”. I am not sure what she would have done if I had said yes but I am sure I would have been told to go to the ladies lounge to feed my child. This anecdote seems like an eternity ago, although it is no longer 1980 some of the reactions of other moms and grandmas are not all too different today. Surprisingly some attitudes about where a mom should breast feed have not changed . What has definitely changed though is the fact that more moms are breastfeeding and they themselves have become judgmental about how important breastfeeding is in a newborn’s life. Some moms think you are not being a good mom if you do not breastfeed your child and they don’t refrain from voicing this opinion online, or in person. Actually the internet seems to have become the official boxing ring for these critics. Grandparents can sometimes have more fun than parents because they have learned along the way that when it comes to raising a child there are very few things that need to be written in stone. We understand what it means to be a mom from a lens that comes with age. and experience. Thank God for this fact. One of the best parts of grandmotherhood is being able to enjoy grandchildren with out the pressure from within that comes along with being a new mom. From the inception of my blog I have tried to share and support this generation of moms in the day to day. It is a kind of support that my generation of moms did not have. It is my hope that on this #UniteMonday moms will recognize the fact that we are all in this together to support, nourish, accept and unite every mom who is raising a child. Grandmothers have an important role here as well. There is a loop of parenting and that loop starts with grandmothers and continues with moms and children. We are forever adding to the parenting loop every time a child is born to a new mom and makes another mom a grandmother. Please get in the “loop” this #UniteMonday and share your parenting stories in comments and on FB and nourish, support and unite other moms! Thank you Similac and #UniteMonday for recognizing moms. This post was sponsored by Similac but all thoughts and opinions are my own.